I have been seeing the beautiful blush and gold combination in wedding decor (as I pin ideas like crazy for our wedding) and it inspired me to create an outfit in the beautiful combination. 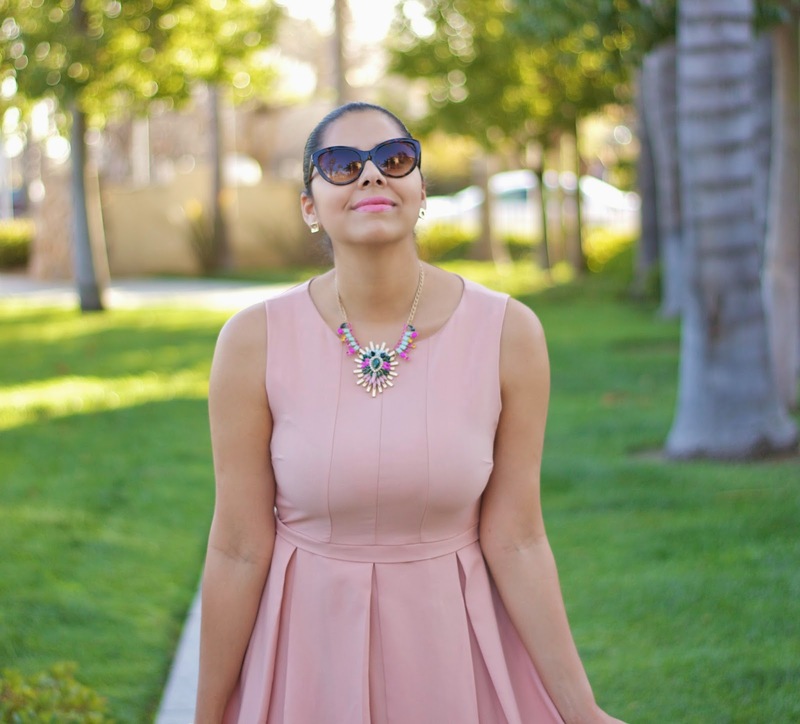 A little blush dress, not only makes me feel like a ballerina, but its softness makes me feel whimsical. After pairing these gold shoes with so many other outfits, I have discovered that adding gold accessories to an outfit gives it a touch of elegance. 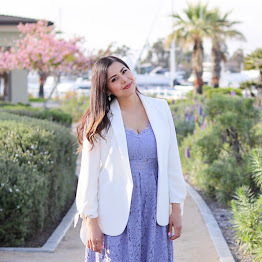 This is a perfect outfit to wear to a wedding, a bridal shower or even a baby shower! Very stunning Paulina. Beautiful dress ad adoring those shoes. You look perfect! Love this color on you! Lovely dress and gold heels, such a perfect ensemble! I love this look, it's so feminine. I definitely need some gold accessories! Love the gold with the blush color. beautiful dress! and that neck piece too! I love blush... What a great look! Definitely your color. The gold accessories give it the perfect touch. Fab post! Seriously love your style Paulina! Definitely digging this color palette! The gold pumps give a lovely accent to the pink dress! Well put together!